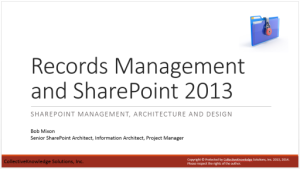 The SharePoint Saturday Sacramento 2014 event was a great success this year. I’m not sure what the final head-count was, but there were a lot of attendees, great sessions and vendors. 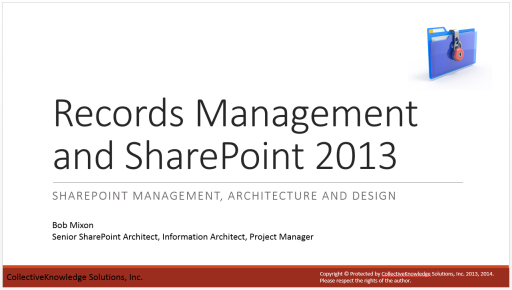 My session was on the topic of Records Management and SharePoint 2013. Here is the deck I delivered.